#freakingflicking | Freaked out of flick: Warcraft  : What the hell is wrong with Warcraft movie? SUGOOOI!!! Finally after years of waiting!!! As a World of Warcraft player and a fan of its franchise, the day Blizzard announced the movie's release date would be the day to remember. It was on November 6th last year when Blizzard released the trailer. Wow... every World of Warcraft player must have been crazy about it. The trailer was tense, vigorous, and Ramin Djawadi's background song made it epic. Expectation was high tho, until there was the second trailer released. It was lack of novelty, "too-tense", and didn't have the refreshing vibe of what Azeroth should be. Moreover, the rocking music ruined it. Back to the movie itself, Blizzard's ambitious project had been suspended apparently since 2007 and had multiple changes in its crews. Rumor has it, there was Sam Raimi as director and likes of Samuel L Jackson and Morgan Freeman were cast in it. After 8 years, Blizzard decided to appoint Duncan Jones as the director. Duncan Jones is a promising young director with brilliant resume, he directed 2 excellent sci-fi movies Moon  and Source Code . He was a WoW player too and notably the son of David Bowie. I had a great feeling about the project at that time. Blizzard chose the plot from the very beginning timeline of Warcraft lore. It was when large packs of Orc warriors arrived in Eastern Kingdoms from their dying homeland through Dark Portal, built by Gul'dan. The story has 2 conflicts : Orc's brutality upon men and the use of Fel by Gul'dan. The first conflict was between Stormwind (Kingdom of Men) and brutal Orcish Horde. Anduin Lothar - King Llane's brother-in-law, led the march against the orcs. At the same time, there were different views in Orcish Horde about the use of Fel. Fel itself was some kind of ancient black magic, developed by Gul'dan, to take over human's land. 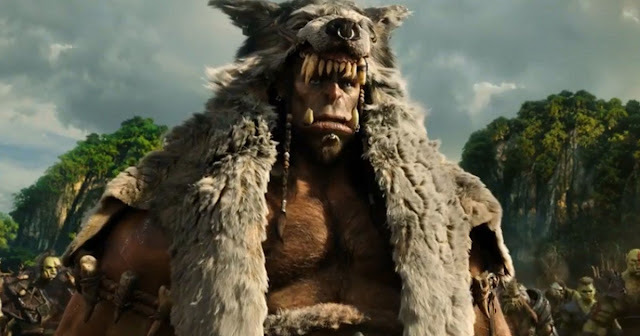 Because of its destructive impact, Durotan and his Frostwolf clan refused to join Gul'dan's plan. Durotan asked King Llane for a fight against Gul'dan, but apparently his comrade, Orgrim, betrayed him. Durotan and his clan were to be punished, but eventually he demanded a trial by combat. Durotan lost to Gul'dan who cheating him with using the power of the Fel. Many of the orcs lost their respect to Gul'dan. Shortly, a great battle came. A large band of orcish warriors marched against the army of Stormwind, led by King Llane. Orcs won the battle, with the sacrifice of the king himself, stabbed by Garrona, half orc-half dranei, who devoted his life for Stormwind after being exiled by orcs. With teary eyes, Garrona ended the battle and make peace with men. She also stopped Gul'dan from using Fel before it's too late. In the other side, the protector of the Alliance (men, elves, and dwarves), Medivh, chose to deal with the Fel by himself. But, Fel was too strong against him and finally corrupted him into some kind of monster who betrayed Azeroth, the world he was meant to protect. Anduin Lothar and Khadgar were meant to help him, but in the end they had to fight against him. Their tricky effort finally could stop Medivh from being perfect form. Medivh died, and Gul'dan was exiled. This is the beginning of the epic Warcraft lore. Warcraft : The Beginning is a movie destined to please its loyal fan, but the fan service given by Blizzard was disappointing. Watching it for 2 hours surely was a tense yet a boring experience. The story was too dense while the plot were absolute mess. Following the plot from the very beginning to the end was like eating two whoppers at once. There were many confusing chats with terrible gestures. Most of actors were like doing their rehearsal, their acting were mediocre. Jaw-dropping visual effect and epic music couldn't help the film to strive for better aesthetic success. Those complex cgi layers didn't look like actually real, but matched with the game visual perfectly. The costumes and props were awesome, the orcs too. Look at that amazing Dark Portal!!! 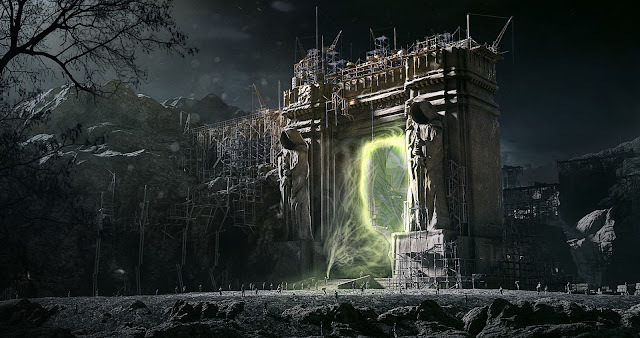 But somehow the most scenery of the movie did look artificial, it wasn't as natural as we saw in other franchise like Game of Thrones or Lord of the Rings. Maybe it was a dilemma between making the visual look exactly like the game or making it simple and realistic. It is true, a good CGI is the realistic one, but making a game adaptation movie is not that simple. Many small details should be portrayed in the live-action movie, and it has to be exactly the same shape. It was all about fan service. 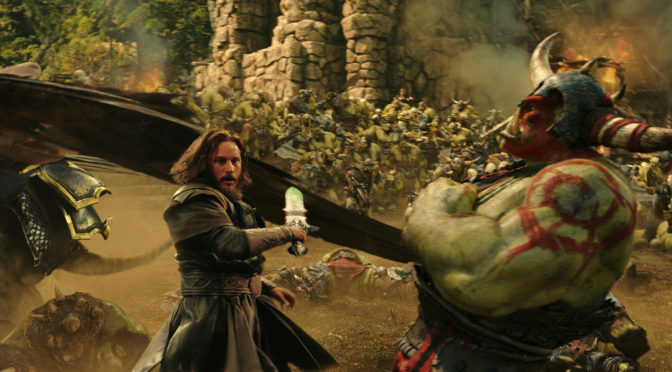 Finally, Warcraft : The Beginning isn't as epic as its lore, but it's not bad either. I have to appreciate on how Duncan Jones made our World of Warcraft fantasy became real, because the effort of making it was truly a hardworking one. But, frankly this movie is not worth 8 years of waiting. I don't like the first movie but I hope Blizzard could do more for the next sequel with Duncan Jones (it has to be him) and make Azeroth great again. Let's see what you can do about it; but it'll be great if you're partaking!